This week, Lifebox will feature as BBC Radio 4’s charity appeal. 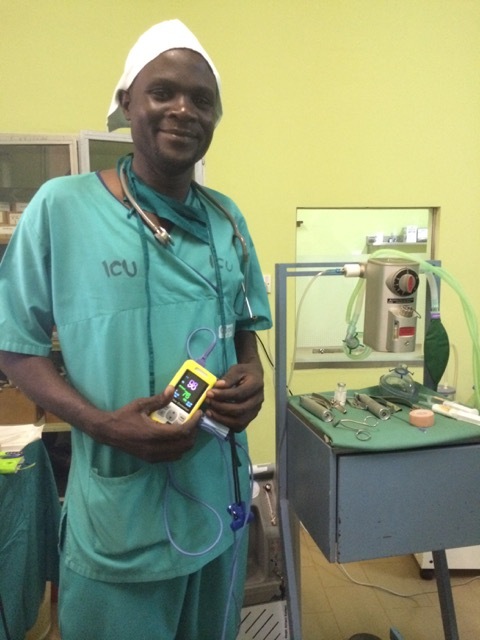 Listen to our chair Dr Atul Gawande talk about how Simon Okwonga, an anesthesiologist from Uganda, saved the lives of a mother and her child, with vital support from the Lifebox pulse oximeter. Simon was able to take time out of his hectic schedule to answer a few questions on why safe anesthesia and Lifebox is of great importance to him. 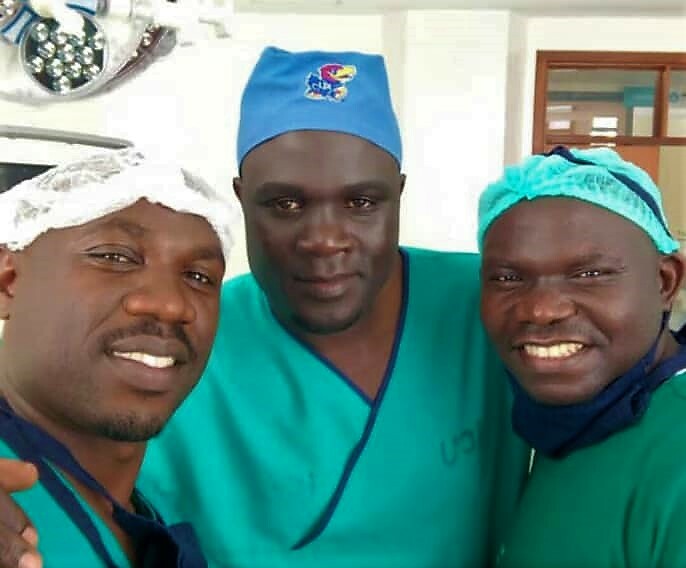 Help us to empower surgical teams around the world. Click here to see how you can make a difference. How were you introduced to Lifebox? I have been trained twice by the Lifebox team on safe anesthesia. During these workshops, I was taught how to use the Lifebox pulse oximeter and the WHO Surgical Safety Checklist correctly. The Checklist is a vital tool in making sure that every patient who comes into our operating room is safe for their procedure. After the session was completed, I received two Lifebox pulse oximeters for our hospital in Gula district, Northern Uganda. How has the Lifebox pulse oximeter helped your operating room? This little yellow box has helped us to reduce complications during and after operations. Without it, it would be impossible to provide safe anesthesia to our patients. We use the two Lifebox pulse oximeters in all aspects of our work. Whether it be in the operating theatre, the intensive care unit, our recovery rooms or even for the transportation of patients, these devices play an integral part to safeguarding our patients. Tell us more about the story you provided for the BBC Radio 4 appeal. A 28 year old mother was brought into our operating theatre for an emergency cesarean section, due to an obstructed labour. Throughout the operation, I used the Lifebox pulse oximeter to monitor her SpO2 levels and pulse rate. During the procedure something was not right. The constant beeping sound from the pulse oximeter changed suddenly. It signalled to me that something was wrong. The patient’s oxygen level had begun to decrease. Her tongue was blocking her airway. I managed to quickly secure the mother’s airway through intubation and ventilation. Immediately I moved on to the child. I was able to save the newborn baby by performing 5 ‘rescue breaths’ (inflation ventilations). Thankfully both mother and child were saved. If I didn’t have the Lifebox pulse oximeter for the operation, I would not have been notified of the change in the patient’s breathing, and both mother and child would have died. What does your hospital lack in terms of resources? The hospital I work in lacks even the most basic of tools needed for a safe operation and yet our hospital sees an average of 6000 operations completed every year. The two pulse oximeters are being over used, for example in the operating theatre, in the recovery room, or even when we have to refer patients to Mulago National Referral Hospital in Kampala city which is 300km away from our hospital in Gulu district. For our patients to be safe, Lifebox pulse oximeters can be all the difference. Describe what working in a hospital in Uganda is like. 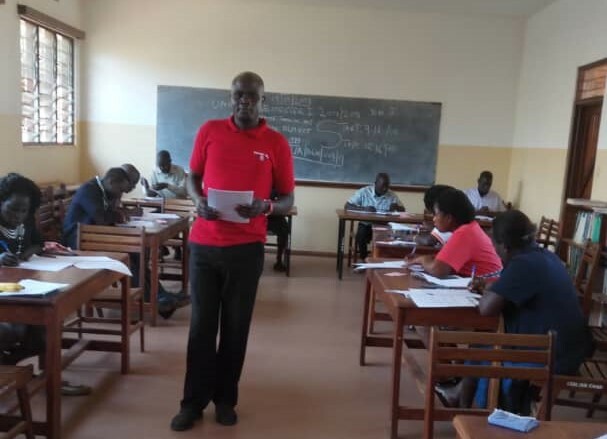 With a shortage of fully trained health workers, our work load can be extremely overbearing. If you take into account, the amount of operations we complete annually, the long working hours, combined with a lack of medical equipment and essential drugs, our capacity is stretched to the point where operations can become unsafe. It becomes even more difficult when patients have to travel long distances to access health facilities from rural parts of the country. I hope listeners of the BBC Radio 4 appeal will gain a deeper understanding of what we have to experience on a daily basis.